Author and novelist Mavis Gallant once wrote that a book of her stories should be read individually, so each of her stories is spaced out and given that much more power. I can’t think of a better way to read Calvin Gimplevich’s debut collection of stories, Invasions. A writer who’s been collected in anthologies and magazines – including last year’s collection Meanwhile, Elsewhere – it’s been a long time coming for Gimpelevich’s debut. Indeed, one of stories here was first published over five years ago. But even in a slim collection, Invasions is packed with compelling stories and distinctive voices. They range from a trans man recovering from surgery (“You Wouldn’t Have Known”) to a pair of lovers who swap bodies with strangers and commit crimes (“Rent, Don’t Sell”) to waking up in a foreign body (“Transmogrification”). But throughout, the stories shine: characters leap off the page and come alive. Elsewhere, Gimpelevich manages to make his stories, even the shorter ones, resonate with readers. In “Transmogrification,” he uses second person to put the reader into the feeling of waking up in an unfamiliar body: the horror, the sense of discovery and eventually, acceptance. The book climaxes with another knockout story, “You Wouldn’t Have Known.” Here, set in a Montreal hospice for trans patients awaiting and recovering from sugrery, he creates a world of characters: an aging, frustrated trans woman; a mother and daughter, caught in a maternal conflict cycle of acceptance and denial, and the narrator, who paid for his surgery with a stolen credit card and just wants to get better. Not much happens: there aren’t any life-altering conflicts, and nobody dies or goes to jail or whatever. It’s just a small world of people who commiserate, bond and form ties. It’s perhaps my favourite story in the collection. But then, throughout this collection, Gimpelevich shows himself as a writer to keep an eye on. With a knack for capturing voices, and alternating throughout styles and forms, Invasions, was a book I kept putting down so I wouldn’t rush through it in one sitting. Indeed, this slim collection of stories stayed with me, long after I’d finished the last page, and it’s probably the best book I’ve read this year. Strongly recommended. 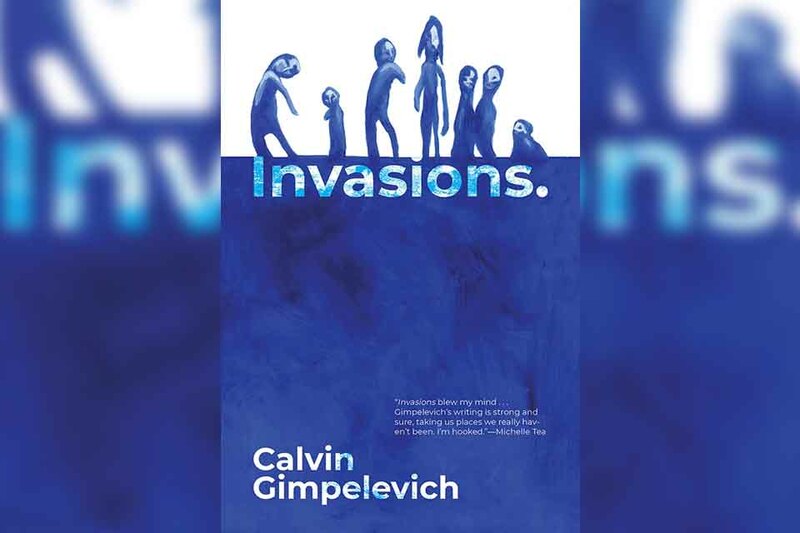 2018 Book review Calvin Gimpelevich Invasions.